I was relatively unemotional, a bit to my own surprise, during our move to Florida this year, I guess because I was just really excited about it, but I had intense moments of realizing what an amazing group of people we were leaving. It took years to develop our “tribe” or “village.” It was not immediate. We moved to Florida not REALLY knowing anyone. We knew of a few foster and adoptive families. We have some acquaintances because of our frequent trips to Orlando in the past several years. 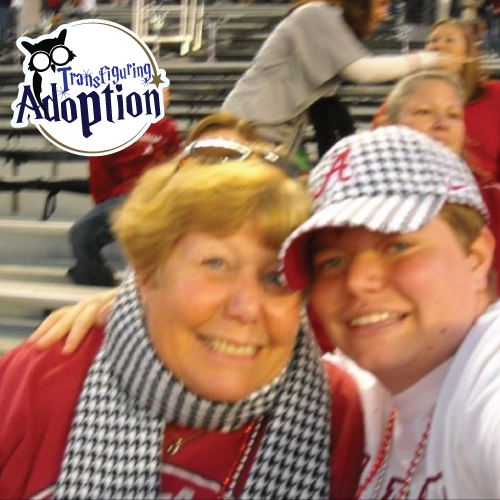 We have people here who love what we do with Transfiguring Adoption. We have people who are eager to volunteer for us, but it is going to take a while to establish a tribe. Over the last six months, I have definitely experienced waves of grief and sadness over what we left, and so have our kids. There is something to be said about having people around you that “get you,” people you don’t have to explain yourself to or give long backstories. I love this quote from Janet Smith. 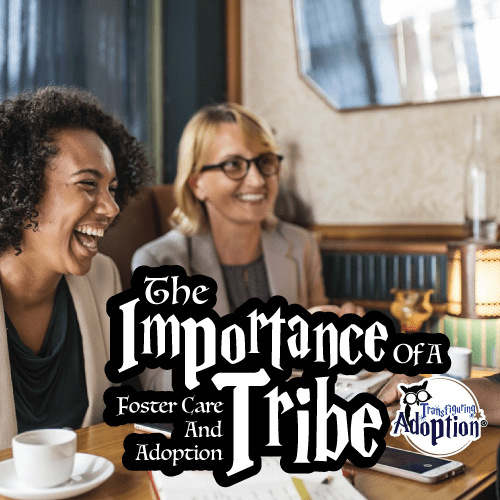 It communicates a need for a tribe of people around foster and adoptive parents who speak the same language and have compassion and empathy for their whole family. We left a host of people whom I miss so dearly, who knew us and our kids, who journeyed through the good and the bad with us (listed here in alphabetical order…not necessarily importance). We had a wonderful little church family in Tennessee with other adoptive parents and professionals in the congregation. They understood and loved our kids and us. While we were only in Tennessee for about five and a half years, we have known our former pastor, Phil, and his family for almost two decades. He was our pastor in Illinois before we were even married, he performed our wedding, and our families were often substitute extended families when our families were far away. They were some of the first folks our kids met and connected with after moving into our home. Our youngest, who was really into superheroes, somehow started calling him “Captain Phil,” and the name lovingly stuck. They were with us from the decisions made about foster care and adoption to finalization and all the highs and lows during and after. While I wasn’t fond of every single one of the specialists who cared for our children, we had a wonderful PCP who was proactive in getting care for our kids (and us as well). Most specialists were within a 20-30 minute drive. They knew our kids’ histories and were able to quickly ascertain medical needs. We had some fabulous neighbors in Tennessee. We lived on a cul-de-sac in a very small subdivision, and most folks helped each other when it came to keeping an eye out for the neighborhood kids. We found a new therapist last week, but it is going to take a long time to build what we had in Tennessee. 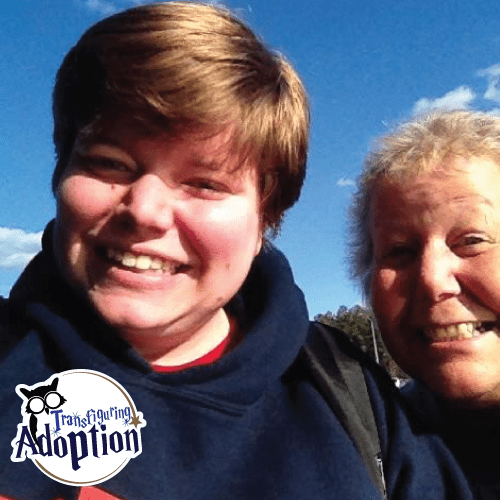 We had a network of post-adoption therapists and service providers around us. Our family was able to grow and thrive through groups, adoptive family camps, home therapists, equine therapy, attachment therapy, and so on provided by these amazing people at places like Harmony Family Center, Shining Light Equestrian, the office of Helen Lyle-Joiner, and Built2Bond Attachment Institute. Even after our kids were discharged from these places, we knew we could call on them in a crisis and go back when needed. They could quickly answer questions and give suggestions having knowledge of our kids’ stories and needs. Over our time in Tennessee, we were surrounded by a great group of foster and adoptive families who were on the journey together, fighting for our kids, fighting for healing, fighting for attachment. They spoke our language and shared our struggles. I always had people to call upon for advice, practical needs, or a group of ladies to go grab some time away with. I was able to be on the receiving end of desperate phone calls from other parents in the trenches. For me, it gave purpose to our struggles as we learned and were able to help others. It helped us all to know we were not alone and to have better outcomes for our kids. Oh, how we miss our “Nurse Ashley.” As Dalton was leaving elementary school, we would have moved on from her care anyways, but we love her. 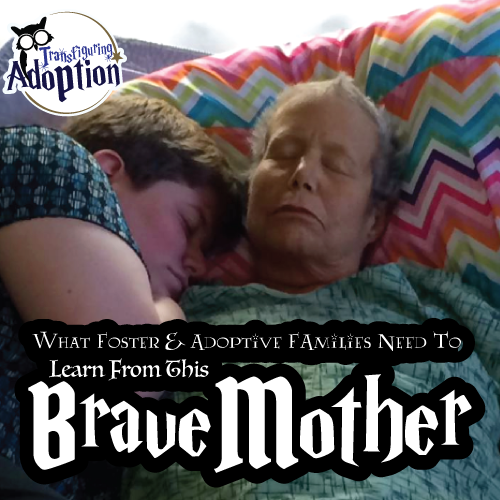 As a foster adoptive parent herself, she understood Dalton and us. Her office became his safe place during difficult times. She provided the same for our elementary-aged foster child last year. She was priceless to our family. Our kids were enrolled in some amazing schools with great staff who helped to meet the kids’ needs at school. It wasn’t always easy, and in the beginning, they didn’t always “get us,” but by the time we left, we knew they had our backs and our kids’ backs. We have floundered a bit over the last six months trying to get established here and find a similar system of support, like when one child had to go a few months without much needed meds because of issues getting a psychiatric provider. 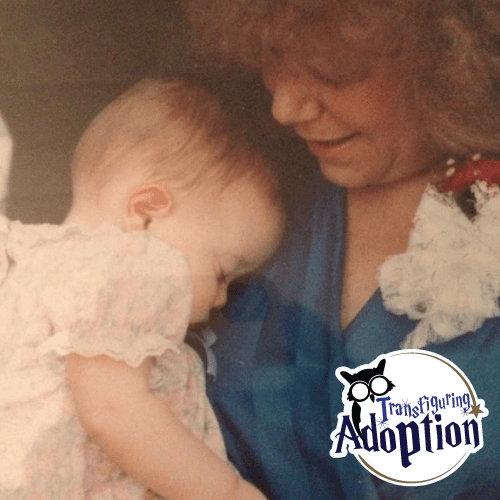 For now, I am thankful for the caregivers we have connected with through Transfiguring Adoption. We just found a therapist that two of our kids spoke with for intake and loved. We are starting to get plugged in to groups of caregivers. 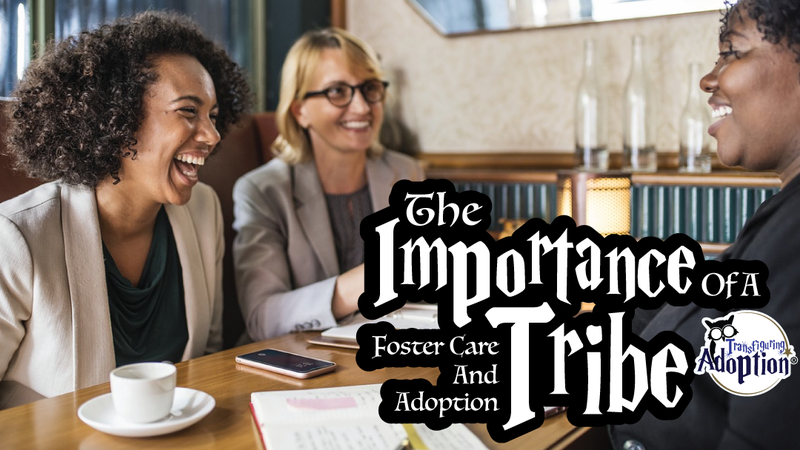 I know it takes far longer than we would hope, but I’m looking forward to building a new tribe here as it is a vital part of the life of a foster or adoptive family. My mom was (IS) my superhero. She got this title during her four and a half year battle with cancer. She was diagnosed in Fall 2009. I moved home from college at the beginning of 2010 after I finished my Bachelor’s degree in Knoxville, Tennessee. I watched not only my mom, but my best friend, fight against the disease running through her body. It brought some incredibly difficult times, but it also brought some precious moments I will hold dear to my heart for the rest of my life. While she went through this battle, she had an amazing group of people around her who loved, encouraged and supported her throughout the journey. Her small group from church became a source of strength to her. Some of them had or were currently fighting cancer and offered her a hand to hold or an understanding ear. All of them offered help, comfort and prayers in the difficult times and celebration and joy in the good. This was the support group that walked beside her in the ups and downs of life, including her cancer journey. Two and a half years after being home with my mom (which included me living with her for about a year and a half and teaching in the same school as her for two years), I decided to move back to Knoxville, TN. Leaving my mom was incredibly hard, but I knew that she was in great hands with a small group who loved her like family. While I had made great friends on the coast, I knew Knoxville was going to be the place where I found my support system. I did just that through church and my coworkers at school. It wasn’t too long that I had surrounded myself with people who would offer me help, comfort and prayers in the difficult times and celebration and joy in the good. I had what my superhero had – a support system that gave her so much hope and joy. In April 2014 we knew my mom’s health was taking a downward turn. After weeks of inconclusive tests and scans, we received the news that mom’s cancer had spread to her kidneys and nothing else could be done. My brother and I drove home to be with her in her final days. As I sat with her one day, she turned and looked at me and said, “I know you’re eventually going to be ok because of the amazing support system you have around you.” It was at that point that I realized God had brought amazing people into my life to love, encourage and support me for this very moment – the moment I was going to say good-bye to my superhero this side of Heaven. It was only a few days later that she passed away on May 19, 2014. And I knew she was right. Losing my mom has been the hardest thing I have ever had to deal with and I can’t say having a support system around me has been easy. But I can say I am still standing because of it. People have sat with me as I cry; they have poured love on me in a multitude of ways; they have encouraged me and helped me put one foot in front of the other. By no means was I created to do life alone and neither are you. I couldn’t and wouldn’t want to. Sometimes these support systems happen naturally and other times you have to seek them out, but they are there to help you in the ups and downs that come with your life. For many of you that are raising children in a foster or adopted family that isn’t easy; life isn’t always easy. But there are others out there walking the same path that are willing to be open and vulnerable to learning how to go through this journey together. I can promise it will make all the difference in the world.